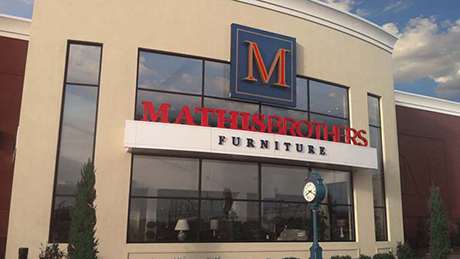 The Mathis Brothers tradition of a family-run furniture store began with Don and Bud Mathis, as they helped in their parents’ furniture store in the late 1940′s. The brothers soon began buying and refurbishing refrigerators and selling them to local appliance stores, eventually striking out on their own to open Mathis Brothers Furniture in 1960. When Bud left to pursue other opportunities, Don continued the family tradition by bringing his sons, Bill and Larry, into the business. The brothers still joke about doing everything during their early years at Mathis Brothers, from filling the Coke machines to picking up rocks in the parking lot. In 1988, knowing the business would be in good, capable hands, Don sold the store to his sons. Following the family tradition, Rit Mathis, a member of the third generation, was brought into the company at age 13, to learn the business from the ground up. He now manages our Ontario, California store, is our face on television, and is involved in the day-to-day management of the Mathis operation. 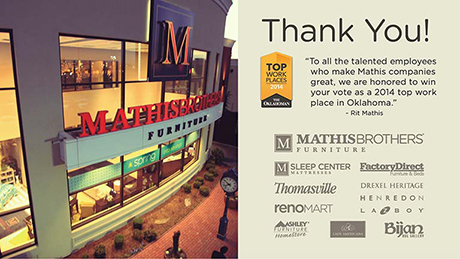 Mathis Brothers Furniture is a dynamic, family owned company known for its casual, team-oriented work environment. 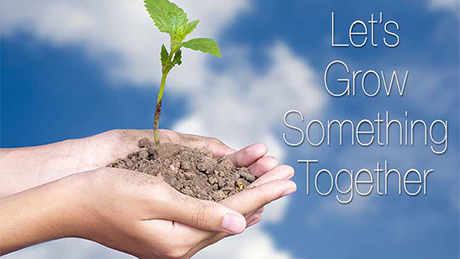 We provide opportunities for career growth and advancement to employees at all levels. Mathis Brothers offers excellent benefits and competitive salaries. Mathis Brothers mission is to provide our customers with a one-stop destination for the largest selection of quality home furnishings at the lowest prices every day, while striving to enrich, fulfill, and reward our employees and the communities we live in. The key to accomplishing that mission is finding the right people and matching them to positions that make the best use of their abilities. That’s why we have always tried to find and recruit the best talent available. We do this for every facet of our business, because we know every facet is vital to our past and continued success. We share that success in many ways, because we consider everyone, in every position, to be an important member of the Mathis Family. As a member of the Mathis Brothers team, you will have access to a wide variety of benefits, both personal and professional. We are committed to providing exceptional service to maximize customer satisfaction. Everything we do begins and ends with our customers. We work together to create an upbeat and energetic environment for all employees. We continually strive to improve processes, products, and services while exploring innovative ways to do the job. We believe in enhancing an individual’s effectiveness by providing training and development opportunities to help them maximize their potential. We maintain an atmosphere of interdependence, collaboration, and open communication between all the departments within the company. We offer health insurance, including medical, dental, vision, and prescription. We also offer Flexible Spending Accounts after a waiting period. These FSA accounts are for unreimbursed medical coverage for you and your dependents. All full-time employees receive a life insurance policy, paid 100% by Mathis Brothers. Short Term Disability insurance is an available option except in California, where Short Term Disability is a state benefit. Long Term Disability is an available option in all locations. This is an available option that will pay for on or off the job injuries. This is an available option that will pay benefits directly to you above and beyond what your Health Plan covers. This is an available option that is a whole life policy. We offer a competitive salary and benefits package, with excellent prospects and rapid career advancement. 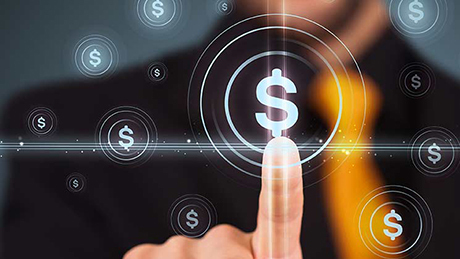 Our compensation program is based on an industry market analysis, job responsibilities, and individual performance. Your supervisor will meet with you annually to talk about your performance and any additional compensation you may qualify for. Because we want to help you become the best you can be, we provide a number of training and development opportunities tailored to your position in the company. Whenever we can, we promote from within the company, based on overall performance, potential to do well in the higher position, positive attitude, and other factors. You will be eligible to enroll in our 401(k) plan once you meet the eligibility requirements on the next enrollment date. Our 401(k) enrollments are semi-annually each year. Mathis Brothers will match 20% of every dollar you contribute, and don’t forget about the possible 10% additional match at the end of the plan year. 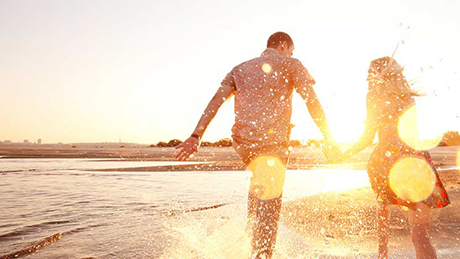 As soon as you become a full-time employee, you will begin to accrue vacation time. We offer paid holidays for eligible full-time employees. Eligible employees will receive paid sick leave upon completion of one year of full-time employment. If you don’t use that time, the company will buy it back from you on your next anniversary. As a member of the Mathis Brothers’ team, we try to provide everything you need to stay happy and healthy. We have a state of the art fitness center on our Oklahoma City & Tulsa campuses, with cardio machines, free weights, Cybex and Nautilus equipment, children’s play room, and onsite personal trainers. 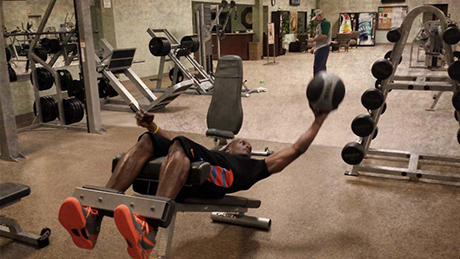 We make discounted gym rates available in our California locations. Free onsite flu shots for employees and discounted rates for family members. A full calendar of wellness activities available for you to participate, like softball and basketball tournaments, wellness fairs, yoga and fitness classes, walking clubs, etc. 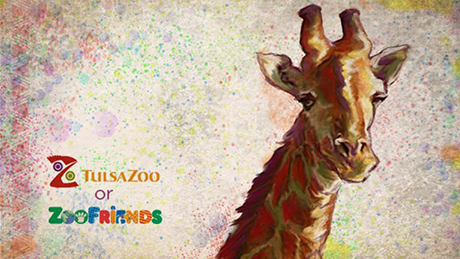 Discounts to local attractions like museums, zoos, water parks, and amusement parks. All qualified candidates will receive consideration for employment without regard to race, creed, national origin, gender, age, religion, disability, sexual orientation, veteran status, marital status, or any other protected status designated by Federal state or local law. 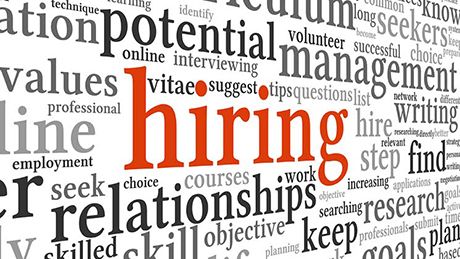 Employment is contingent on successful completion of a background investigation. Mathis Brothers actively supports a drug-free work environment. Why do our employees enjoy working at Mathis Brothers Furniture?